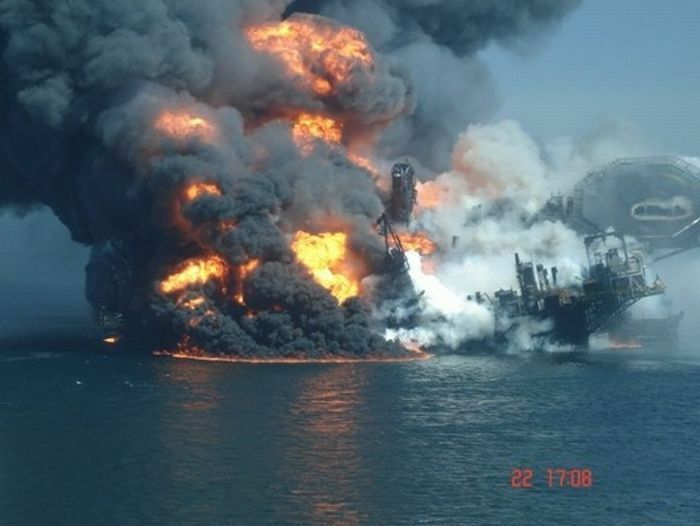 Michael Williams, who was the chief electronics technician on the Deepwater Horizon rig while it was still above water, told a federal panel today that a critical alarm system on the rig had been in "inhibited mode" for a year prior to the accident. By "inhibited mode," he appeared to mean "off." Williams testified that when he took over his job in 2009, he found an enormous number of problems with the rig's systems that he struggled to deal with for the next year. One of those problems was with an alarm system that was supposed to alert workers to a possible gas leak and close vents that might otherwise transmit leaking gas to the engine room, where it might do things like ignite. That system could conceivably have prevented the explosion, had it been uninhibited. Williams did not say specifically who inhibited the gas alarm, but said that his understanding was that it had been in that mode for as long as a year, and that it had been inhibited in the first place because "the leadership of the rig did not want crew members needlessly awakened in the middle of the night" by false alarms. Turning off the alarm entirely does solve the problem of false alarms. That is certainly true. I can think of at least one other issue it might raise, though, and I'm no expert, but what I'm thinking of involves the possibility of A REAL ALARM. "Could somebody hit the snooze button, please?" Also this week, it was reported that BP had (poorly) Photoshopped pictures of its crisis center to make it look like more was going on there, and also that among the stuff BP shot into the well to try to stop the leak was a large amount of hazardous waste. I guess they were just looking for some synergy there, though. I mean, if on the one hand you have a bunch of hazardous waste that is very expensive to dispose of legally, and then over here you have a big leak that needs to be inhibited by shooting something into it, well, then the solution is obvious. That's just good business sense.